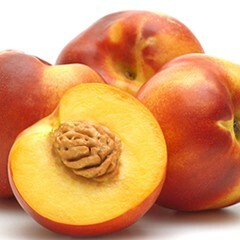 Nectarines are, in fact, fuzz-less peaches. Nectarine acreage in NYS is small – only about 66 acres of which 26 are located in eastern NY. Like other stone fruits, nectarines thrive in a Mediterranean climate of long, hot summers and cool, wet winters. The new class of fungicides, SDHI's, are now registered for use in tree fruit. Fontelis was registered last season, and Luna Tranquility and Merivon were registered this spring. They are all registered in NY as "Restricted Use" fungicides. Due to the special restrictions for use in NY, they also are Special Local Need registrations. In order to apply these materials you must have a copy of the label and the SLN label in your possession. You can access these SLN and label to study or print at these links.